Americans know quite a lot about some European foods—French, Italian, German, Greek, Spanish—but not so much about Eastern European and Ashkenazi Jewish food. Unsurprisingly then, many Americans will never have tasted gibanica, a traditional Serbian dish that is delicious nearly to the point of addiction. Gibanica comes in two flavors. Sweet gibanicas are crusty layered pastries with many variations. Some are a little along the lines of a mille-feuille—better known as a Napoleon. Savory gibanicas can be very hearty, with layers of delicious pastry dough and meats, or they can be entirely meatless like this one. 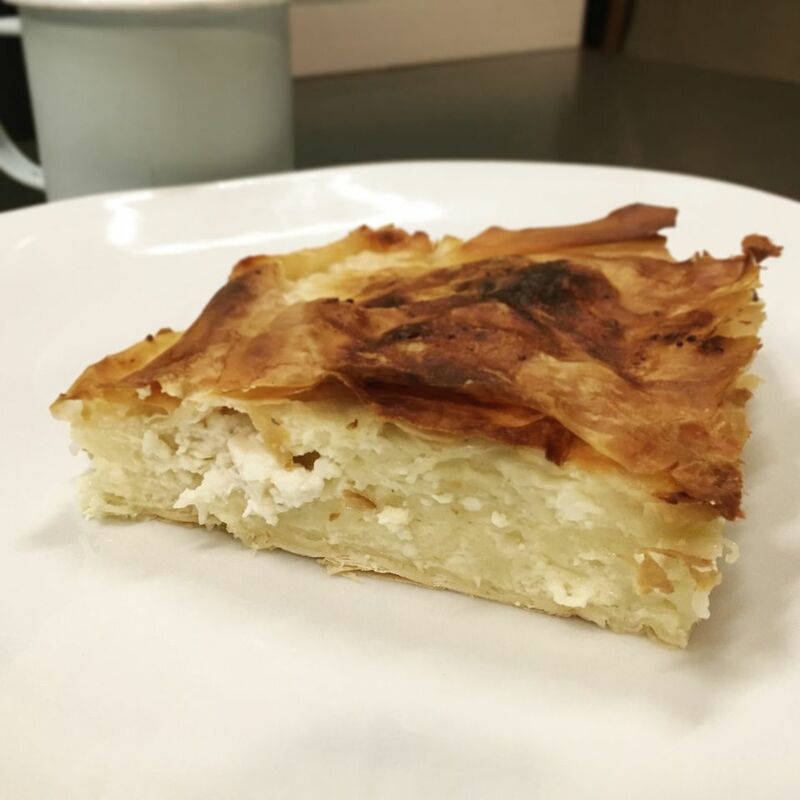 This recipe for salty (savory) Serbian gibanica is a blend of cream cheese, cottage cheese, and feta cheese between layers of filo dough baked until golden brown and crispy. In a large bowl, beat cream cheese until fluffy. Add 3 eggs at a time, beating well after each addition. Add cottage cheese and feta cheese and mix well. Set aside. Heat oven to 350 F. Fold two sheets of filo dough in half and place in a lightly buttered 13x9-inch pan. Lightly brush the filo with melted butter. Spread with about 1/2 cup filling. Continue in this manner until all but three sheets of filo are left. Top with last three sheets of filo and brush with remaining butter. Place pan on a rimmed baking sheet to catch any drips and bake about 1 hour or until golden. Let sit 15 to 20 minutes before cutting into squares and serving warm. If feta is not your favorite cheese, it can be eliminated and made with cottage cheese and sour cream only. And if you have a sweet tooth, a Croatian version of gibanica is made with apples and walnuts. Another similar recipe that features buttered layers of filo dough is Serbian burek which can be filled with cheese, meat or spinach. Bulgarians also have a savory rolled version filled with feta cheese and yogurt, and a sweet version (typically with pumpkin filling) that are called banitza or banitsa.